The Realtek RTD 1186 media processor is currently the most popular solution for use in standalone media players with support for playback of 3D videos. It is nice and affordable solution with HDMI v1.4 supporting 3D output and MVC decoding and Blu-ray 3D ISO support, so it is no wonder that there are so many devices out there that are using this chipset. Before the users started demanding that the standalone multimedia players also support 3D video playback there was another company that was very popular and widely used and that was Sigma Designs. However the’ve had their share of issues with bringing 3D video support into their media processors range, they have announced the SMP8910 with 3D video including Blu-ray 3D support, but it was not welcomed by the manufacturers who decided not to adopt it. And it took quite some time before a media player manufacturer finally decided to use a variation of this chip, namely the SMP8911 found in the Popcorn Hour A-400 media player. The SMP8910/SMP8911 media processor is looking very promising specification wise, but apparently it is not problem free and not that easy to implement as the Realtek alternative, so no wonder there is still no other player based on that chip. Sigma Designs also have a bit lower range media processor, the SMP8672, a more lower-end solution that uses HDMI 1.4 and has 3D support, however does not support Blu-ray 3D ISO images, even though the chip is capable of decoding MVC. The SMP8672 is newer chip and is still not widely adopted, but it shows more promise that its predecessor the SMP8910. Not long ago Dune HD has announced and started shipping the first media players with 3D capabilities based on the Sigma Designs SMP8672, the Dune HD TV-303D and Dune HD Base 3D. And while the SMP8672-based devices may turn out to be more of a competition for the users in need of 3D video playback capabilities, though the lack of Blu-ray 3D support may be a bit of a setback. Also the fact that these SMP8672-based players are more expensive than the alternatives based on Realtek 1186 could be a big advantage for the Taiwanese company that currently has the advantage on the market for standalone multimedia players. With H.265 coming and 4K HDTVs starting to appear we are soon going to need a faster and more powerful media processors to power the next generation of media players for the new compression methods and high resolution displays. There have been a lot of Realtek 1186-based multimedia players released on the market in the last year, but interestingly enough they were only coming from different Asian brands and none of the Western brands has decided to release a decent player based on this chipset. The most interesting thing about the Realtek 1186 chipset is the fact that it supports 3D playback and output via HDMI 1.4 frame packaging, making it a perfect choice for people looking for a standalone 3D-capable video player. In fact the devices based on this chipset are not only capable of playing 3D video clips, but also Blu-ray 3D movies from ISO image as well as 3D photos. 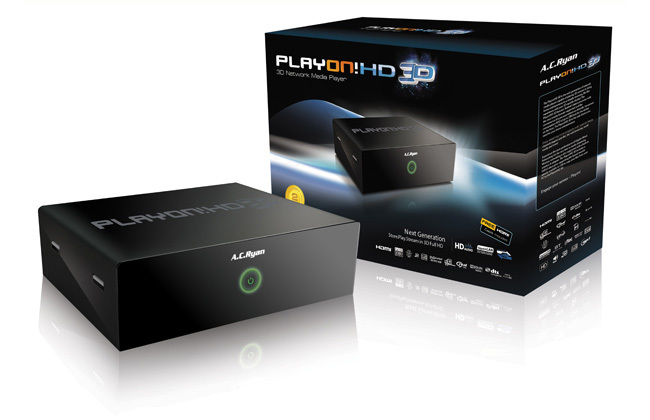 This makes them as a great addition to a 3D HDTV or a 3D-capable projector with HDMI 1.4 input eliminating the need for an HTPC for the playback of 3D content, covering all your 3D multimedia playback needs in a more portable, silent and less power hungry device. 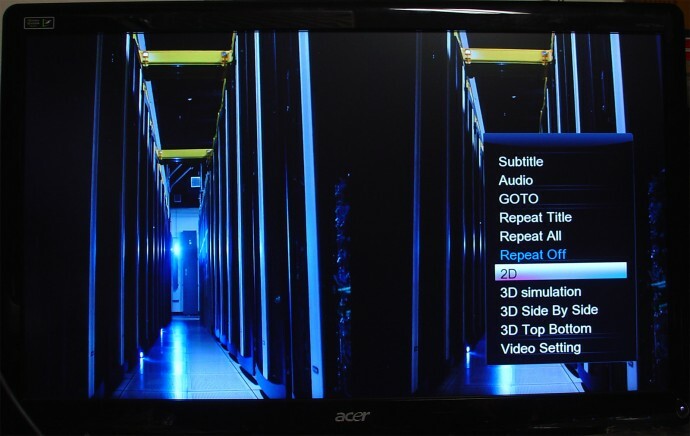 Of course for those of you that would also want to play games in stereoscopic 3D mode an HTPC or even a more powerful gaming PC would still be required, but for 3D videos and photos a Realtek 1186-based multimedia player could be the perfect choice. Now, initially when the first such devices started hitting the market there were quite a ot of issues with the software, but now about a year later most of these should have already been resolved via firmware updates. I was a bit skeptical at first when the first Realtek 1186 devices were announced, not to mention that these have been quite hard to get a hold of initially, unless you wanted to order them from China, but after I was able to test one of these players in the form of Himedia HD900A I was quite pleasantly surprised how nice it was. I was surprised by the fact that most of the Realtek 1186-based devices do some in quite big size with the option for to insert an internal 3.5″ HDD in them for storing the multimedia files, and only a few are actually much smaller and portable without the option for an internal hard drive. 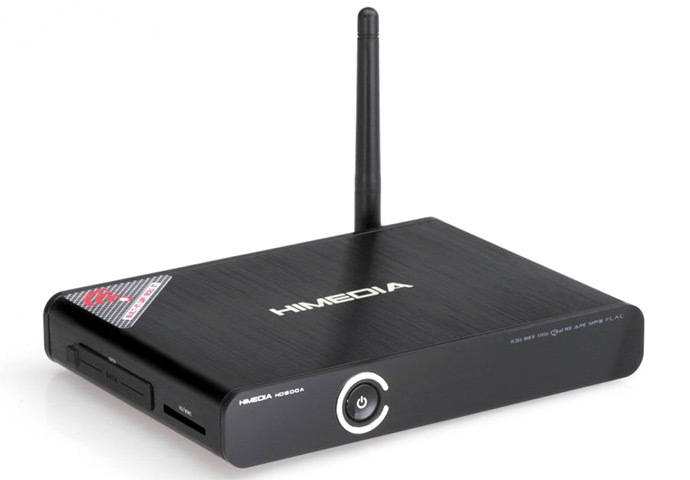 One such device is the HD900A from Himedia that has an option to connect a 2.5″ SATA HDD externally if you need to, however with the presence of a 802.11n WiFi, Gigabit wired LAN, two USB ports (USB 2.0) and a flash card reader the need for an internal or external HDD isn’t that big, at least for me that is. The compact size was actually more important when I went to try Himedia HD900A instead of another device, because in terms of software features all of these devices should offer very similar functionality. 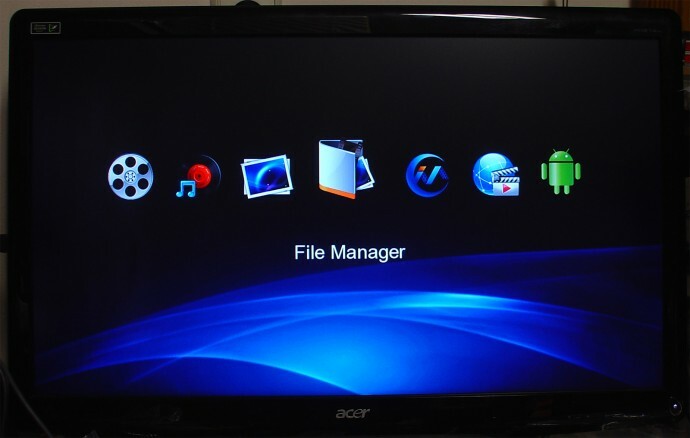 Another interesting feature of the Realtek 1186 platform is the ability to run Android applications, kind of in the recent trend of Smart TVs where you can install apps, so with the help of such a player you also get a stripped down Android 2.2 OS and you can install Android applications. I’ve already mentioned that the player does support HDMI 1.4 frame packaging output, so it automatically activates the 3D mode on your 3D-capable TV set, monitor or projector when you play back a 3D movie, for example a backup of a Blu-ray 3D movie you own from a USB drive in the form of an ISO image (it works quite well most of the time, though there might be some limitations or issues with some movies). If you open up a Side by Side or Over/Under (Top/Bottom) format 3D video clip you need to call up the menu of the player and select the proper input mode of the 3D video you are going to play. Bot Side by Side and Top/Bottom format 3D videos are supported and the player also has an option to convert a 2D video into a 3D one, though as with most such 2D to 3D conversion algorithms the end result is usually not that great. The only drawback, not a big one, here is the fact that the 3D HDTV or other 3D-capable playback device needs to switch to a 3D mode such as 1080p 24Hz 3D mode when you activate the 3D mode and unfortunately there is no 1080p 24Hz mode available in the list of the output resolutions of the player. The situation with 3D photos is more interesting, though you may actually see that these devices are not being advertised as 3D photo capable they actually do come with a good 3D photo support. For example if you open up a MPO 3D photo you get it displayed in 3D automatically and you can select to view it in 2D (only the left view) plus some extra options for Side by Side and top/Bottom format that you don’t actually need for MPO format. 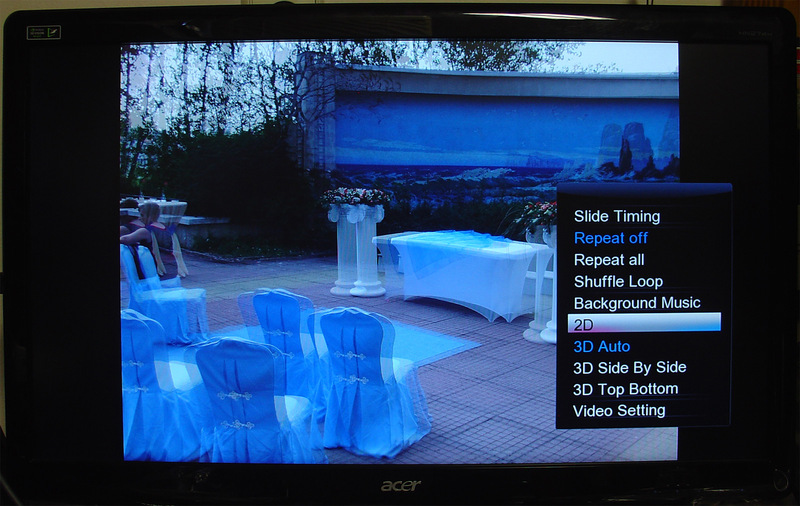 And with JPS photos for example you only get to see 2D and 3D option when you call up the menu as they are automatically recognized, so the Himedia HD900A is also a good player for 3D photos when you want to show them to more people on a large screen 3D HDTV for example.